Alexa is Amazon’s voice-enabled digital assistant. She comes with any Amazon Echo device and some Alexa-enabled third-party products such as the Sonos One speaker or GE lamps. Calling her name will help you find information or perform a variety of tasks such as playing your favourite music on command. In smart homes, she does heavier lifting, such as dimming your lights, locking your doors, adjusting your heating and operating smart-enabled appliances and devices you might own. We've integrated with Amazon Alexa to make your energy smarter – telling you the cheapest times to use power, letting you know how much you've used, and even linking up with smart products for cheap, green, no-hands energy. Last year, we launched a world first: a time-of-use tariff called Agile Octopus – giving customers access to dynamic half-hourly rates based on wholesale energy prices. At 4pm each day we publish the set of half-hour prices for 11pm that night to 11pm the next day. You can see those prices when you log into the Octopus account dashboard. Agile has an open API, meaning techy customers and fellow energy innovators alike can hack into cheap, green energy pricing and create smart integrations. So, you've got the dynamic, mega-cheap Agile prices. You've got the means to hack them through our open API. To truly unlock the benefits of these prices, and the smart tech behind them, you need to be able to link up with smart products. Ask Alexa what time energy is cheapest, or when it's most expensive. What the price is now, or what it will be at a specific time today. You can even ask how much electricity you consumed yesterday, this week or this month. Getting started is easy – search for the Octopus Skill in the Amazon Alexa app, fill in your Octopus details when prompted, and start asking about your Agile tariff prices and consumption. Our Alexa ‘skill’ includes support for screen devices like the Spot, meaning that while Alexa's talking, useful information and figures will show on-screen – like your current energy consumption, and how much we're charging you for it! This integration is for Agile customers on the forefront of smart energy, hacking into our open Agile API, using the half-hourly pricing data to make homes smarter, energy cheaper, and lives easier. Not on Agile? 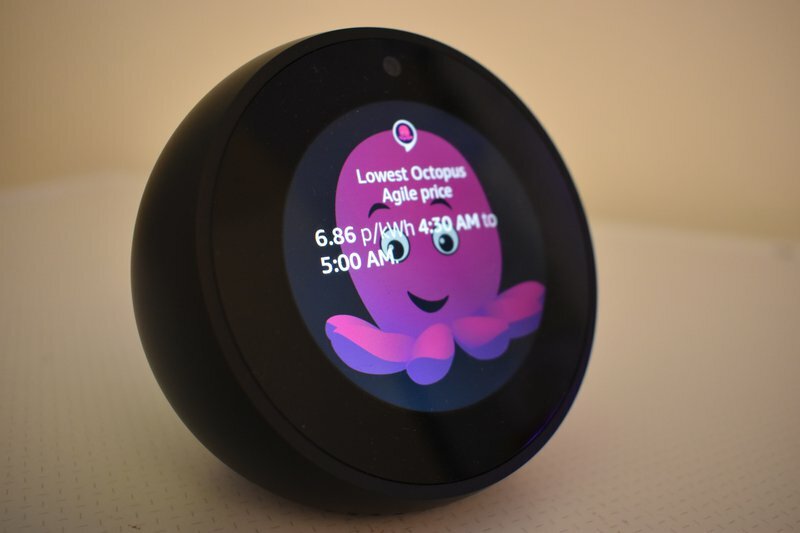 Good news: if you're an Octopus customer with a Secure smart meter, Alexa can still tell you how much energy you've used, daily, monthly, and annually! This isn't our first foray into smart home integrations... earlier this year, Agile met IFTTT (If This, Then That). IFTTT is a free web-based service that lets you create rules and triggers so you can get smart devices and applications working together. This means that you are now able to plan your smart processes, appliances and devices when the price of electricity is cheapest. It’s a pain having to look at what the price of energy is now, or what it'll be later on to decide, say, if it’s the right time to run the dishwasher. With IFTTT you can set an alert so that when electricity is the cheapest, you can automatically turn on a smart plug or set the hot water to heat (electric immersion in a hot water tank) at the best time of day. Already an Agile customer? Check out IFTTT now. I've thrown together the most common questions people have about this integration, including how to get started! First you need to be an Octopus customer, and ideally on the Agile tariff. You can be on other Octopus tariffs, but asking Alexa about the tariff will just give you your current flat rate price. The consumption data works for all tariffs but you must have a Smart Meter. Next search for the Octopus Skill in the Alexa app and enable it. You’ll be prompted to enter your API key, MPAN and Serial number to complete the process. To use the Octopus skill you must always start with “Alexa, ask Octopus…” This opens the Octopus skill. A good starting point is simply to say “Alexa, open Octopus” and listen to the prompts. The skill recognises lots of variations so just use natural questions such as “Alexa, ask Octopus how much is my electricity now”, or “Alexa, ask Octopus how much is my energy now”, or “Alexa, ask Octopus how much am I paying for energy now” or “Alexa, ask Octopus what’s the price of electricity right now”. Alexa, ask Octopus when is electricity cheapest today? Alexa, ask Octopus when do I pay the most for electricity today? Alexa, ask Octopus what will I pay for electricity at 3.30pm? Alexa, ask Octopus what was my electricity consumption yesterday? What happens if I leave Octopus or move house? If you leave Octopus, your Octopus Energy customer API Key will no longer be valid and the connection to Alexa will no longer function. If you move home but stay with Octopus, your new home will have a different set of credentials (when you log into to your Dashboard technically this is your Smart Meter’s MPAN and serial number), which you will need to re-enter into the Alexa app to get going again. If someone moves into your old home and stays with Octopus Energy, your Alexa skill will not be connected to your old home because the credentials (API key, MPAN and serial number) will no longer match. The new homeowner will need to use their own API key, MPAN and the meter’s serial number in your old house for their own Alexa skill to work. You’ll also need to enter your new home’s MPAN and serial number into the Alexa app to get up and running again. Does this work for gas? No, the Octopus Agile tariff is only for electricity as the UK power system has highly variable wholesales costs through they day that we pay. Wholesale gas prices don’t really vary throughout the day. Why doesn’t it provide consumption for today? Even though the Agile bill uses half-hourly measurements, we collect the Smart Meter once a day, at about 4pm. That means we have your latest consumption up to yesterday. The prices Alexa gives are all VAT inclusive. Your Agile electricity bill shows the daily 30-minute breakdown ex-VAT, as VAT is applied to your whole bill and shown on the bill’s cover page. 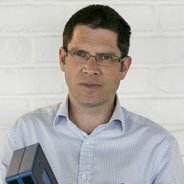 Do I have to be an Agile Octopus customer? You don't, but this integration was specially designed for Agile users. On any other Octopus tariff, asking Alexa about the tariff will just give you your current flat rate price. The consumption data works for all tariffs but you must have a Smart Meter.